"If God Is Not Happy With Your Work, Neither With My Work"
Lobo Automotive Offers Auto Repair Services You Can Count On! We are a full service, automotive repair and maintenance shop serving the Dallas area with many years of consistent and friendly service. Our professionalism sets us apart from the rest. Visit us for all of your maintenance and repair needs. 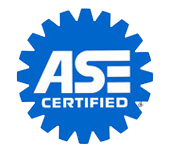 We are an ASE Certified Shop, providing you with the highest quality service. We are a friendly, clean and efficient shop. We understand that sometimes car repair can be stressful, and we do everything possible to make our customers feel welcome, comfortable and satisfied with their service experience. At Lobo Automotive, we know how busy you are and want to help keep your vehicle in top condition. We offer free service reminders - when it is time for maintenance, we remember for you! We make your service experience hassle-free. We are happy to offer early bird and night-owl drop-box service and local shuttle service to your home or office. Lobo Automotive is the automotive expert in Dallas, TX 75220. 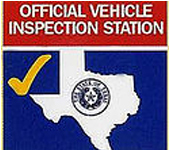 Since, 1987 we've provided the Dallas area with reliable, affordable automotive maintenance and repair services including 4x4 Services, Alignment, Batteries, Brakes, Car & Truck Care, Domestic Cars & Trucks, Electrical Services, Electronic Services, Engine & Transmission, Engine Maintenance, General Services, Heating and Cooling Services, Import Cars & Trucks, Inspections and Emissions, Miscellaneous Services, Quick Lube Services, Tires, Towing, Towing & Recovery, Transmission Services and Undercar Services. We have experience servicing all makes and models of domestic and import vehicles, and we're honored to keep vehicles throughout the Dallas area reliable and well-maintained. Our skillful mechanics will take great care of your vehicle too, quickly diagnosing any problems and offering cost-effective solutions to get you back on the road. Call Lobo Automotive today at 214-353-9605! You can also send us an email. Either way, we're looking forward to providing you with reliable automotive service! I take my cars there for any repairs, stickers or oil changes. I have had to wait, but I know they take pride in their work, and it's a busy shop. I would rather wait, as I know my cars will be taken care of. Thank you Lobo mechanics. Very helpful. Got the repair done in half the time promised. We will be back. Lobo Automotive LLC is the best Dallas automotive repair shop anyone can ever go to. My family and I have been going there for over 3 years. They always tell me what's wrong with my car when I take it. Whenever I take it they give it a check-up. My car is always safe and good when I get it back. They have experienced technicians with high quality service. They are a family business with lots of happiness to make sure we leave happy. I would recommend them to anyone. They have the best technicians ever. Their work is professional and good. It's a clean and satisfying place. Thanks for replacing my brake pads. My brakes are better than they were. Lobo Auto is a good family business. It was my first time using them, and they treated me nice and fairly. Their prices were fine with me. Promise to recommend to my friends and family. Best Dallas auto repair I've been to. Took my Isuzu Axiom to get my radiator replaced, and after them looking and making sure that would fix my problem, I was told my motor was what needed replaced. I hated that it was not a simple fix, but happy they just didn't do what I thought was the fix and send me on my way just to make money from me. I will always come back to "THE DR". I feel with this experience that I had, I would definitely come back again. They went out of their way to help me out in my situation. Friendly & Honest! I have been using Lobo Auto for the past 5 years and found them helpful, and they explain in detail all repairs. Prices are lower than average and guaranteed. The mechanic, Jorge, was very knowledgeable. Jorge contacted me to inform me of my car, and I was happy that Ophelia was the one to come and pick me up. George Knows What He Is Doing! I Have been using Lobo Auto for a couple of years. He services all of our company trucks. He gets the job done quickly, and we have never had a problem with any of his work. George really knows what he is doing. His prices are also very reasonable. I am very happy with the service.